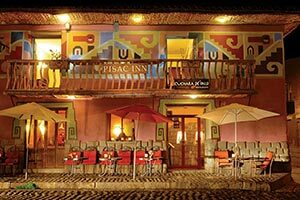 10 minute walk uphill from Pisac's Plaza de Armas. 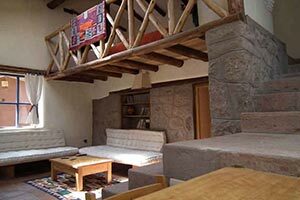 Located 1.5 km east of Pisac beside the River Urubamba (about a 25 minute walk from the main Plaza). It is certainly a peaceful spot, there are no roads here, surrounded by fields, river and mountains. 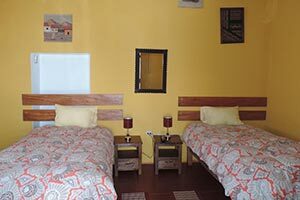 The rooms are simple but comfortable and tastefully decorated. A communal room has a nice wood fire and dining table. This lodge is promoted as a "Spiritual Healing Centre". 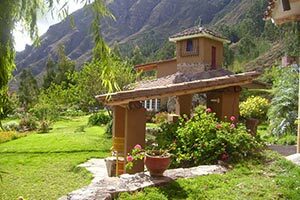 The owner, Dianne Dunn, is a North American who offers sessions in Andean Energy Healing, guided meditations, Reiki, yoga, massage, chiropractic, breath work. 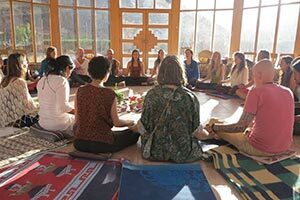 Journeys with the sacred plant medicine of San Pedro and Ayahuasca are also among the services offered. Dianne has also written a book "Cusco: The Gateway to Inner Wisdom" which is available in most bookshops in Cusco. 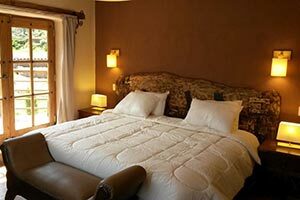 This hotel is a converted hacienda with facilities including an indoor pool, jacuzzi, sauna, beauty and massage salon. Popular with tour groups. The friendly staff can also arrange tours and adventure activities such as horse riding and mountain biking, or even classes in wood carving or ceramics with local craftsmen. Calle Intihuatana 114, Camino Ruinas, Pisac. Located on the small street leading up to the ruins which can easily be hidden by stalls on market days. This local family are involved in the production of pottery and ceramics and have a workshop on site as well as a shop selling handicrafts. 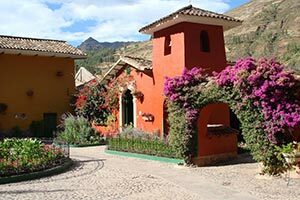 Good views from the hostal of Pisac ruins high up on the hill behind and also of the town and plaza below. Basic rooms set around a large patio and garden. Most of the rooms have shared bathrooms although there are a few with private bathrooms. Warm showers. Good budget option.